Kolo Mee was one of my staples growing up. I could have it any time of the day: breakfast, lunch or dinner. However, it is not a dish that can be easily found outside of Sarawak, Malaysia. You can imagine how excited I was when we walked past a shop selling Kolo Mee in Melbourne. We had just eaten a big lunch from Chin Chin, so I told D that we must visit the restaurant another day. 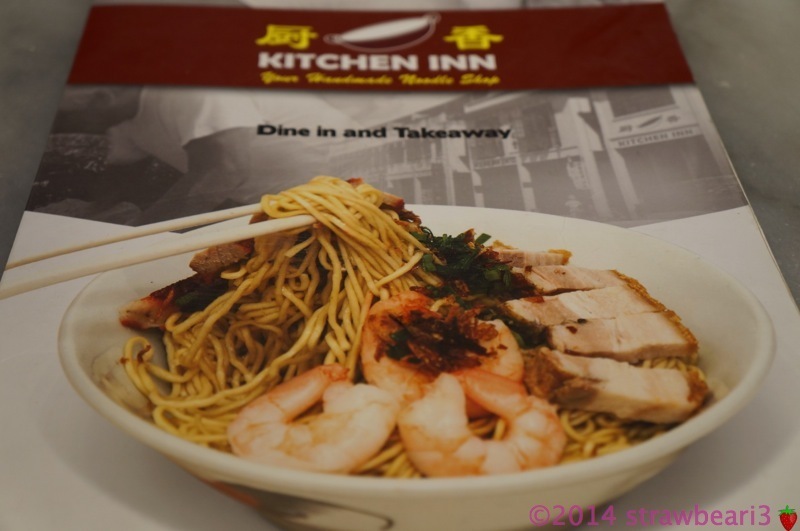 The following day, we made a detour to Elizabeth Street on our way home, just so we could get dinner from Kitchen Inn. I ordered the regular bowl of Special Kolo Mee ($11.50). 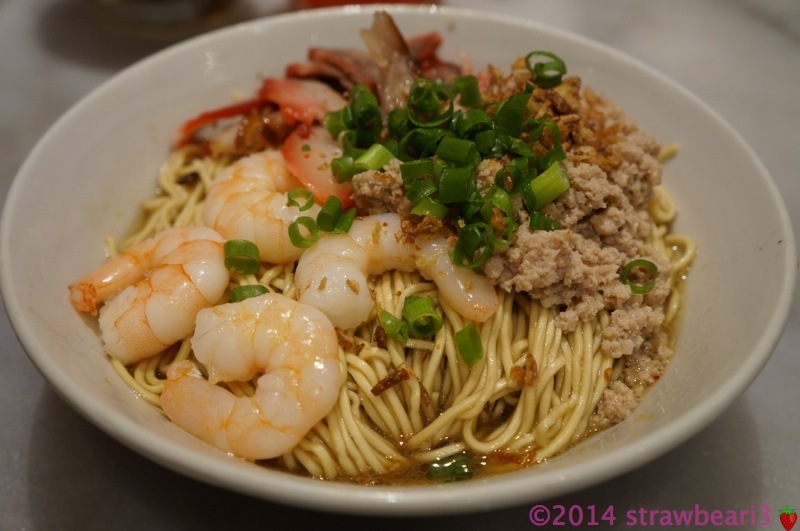 The noodle serving was huge, topped with 4 big prawns, bbq pork and pork mince. The taste was very authentic and just how I like it. Even D who wasn’t a fan of Kolo Mee told me that it was the best one he’s had. 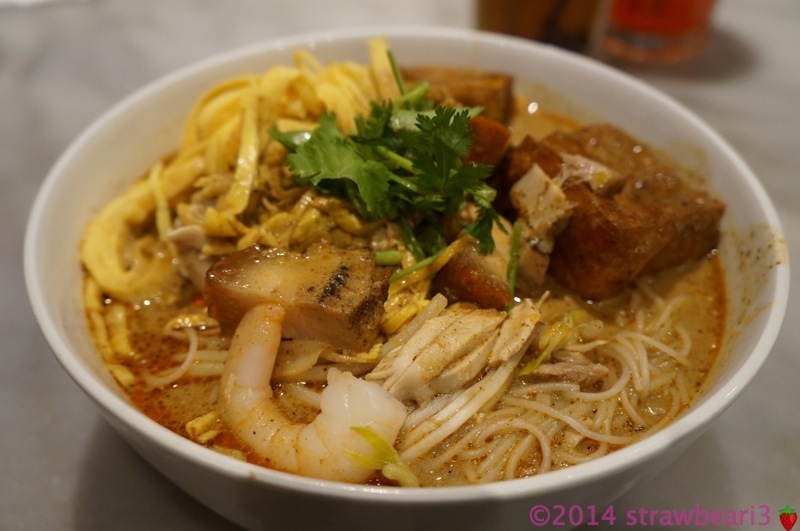 D ordered Sarawak Laksa ($10.90). I found the soup to be a bit too ‘herbal’ for my liking and D also thought it lacked a bit of punch. A big thumbs up for their Kolo Mee. I will definitely be back just for this dish on my next visit to Melbourne.